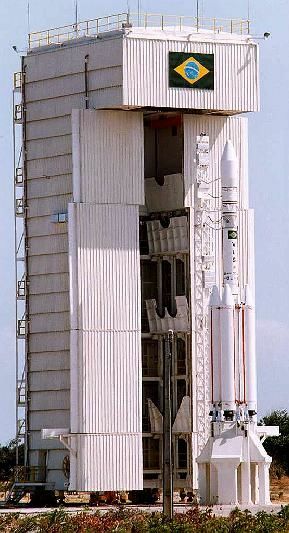 Brazilian VLS space launcher in its launch complex at Alcantara. Brazilian satellite launcher building on successful family of sounding rockets. VLS Brazilian satellite launcher building on successful family of sounding rockets. VLS-R1 Brazilian all-solid test vehicle. Single stage vehicle. VLS-1 Brazilian all-solid orbital launch vehicle. VLM Brazilian satellite launcher using core of VLS only. Planned for launch of microsatellites. First launch 2002 or later. Country: Brazil. Launch Sites: Natal, Alcantara.